Use when cycling in cool weather. It's waterproof and I felt comfortable to cycle when temperature was around 50 degrees in Fahrenheit. I am afraid it doesn't work if temperature hover around 32 degrees in Fahrenheit but it's Ok for me since I have no plan to cycle if temperature falls below 43-45 degrees. These tights keep me warm, dry and comfortable. 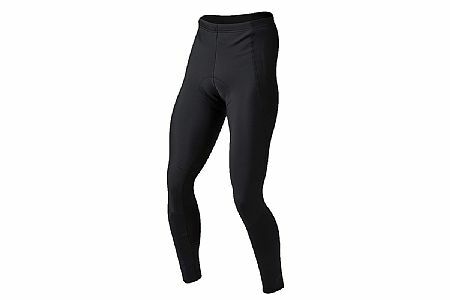 I've worn these tights for a couple of road rides in January in the Boston area, on somewhat warm days (30's-40's ) when the roads were wet from snow melting. I've not worn them in rainy conditions. I've been looking for water proof tights that aren't the baggy rain pants one usually finds, and these did the trick for the conditions I was in. Hope to start wearing them for late winter early spring commutes. One thing to keep in mind- they run small, as others have said. I usually wear medium, but had to return these for a large (I'll get over the insult to the ego). These are great tights for the winter. They don't have a chamois, so make sure to wear shorts or padded unders for these. I prefer the shorts. The tights keep me just the right temperature, not getting too warm. I may even get a second pair. Good buy! Great for a cold weather ride, which I experienced last Saturday. Temp at start barely 40. Good fit for freedom of movement.